Mix two cups of couscous with a pound and a half of cubed, lamb stew meat and a few food loving friends and what do you get? The second installment of the Cook Club and a Moroccan feast fit for a king. Or at least four ladies who love to eat. After Ms. Anne Pao, of SF Tao of Pao, and I successfully dominated a Puerto Rican menu two weeks ago, we decided to put our aprons and thinking caps back on and attempt round two. As a sucker for all things spicy, we picked Morocco as our next culinary destination. 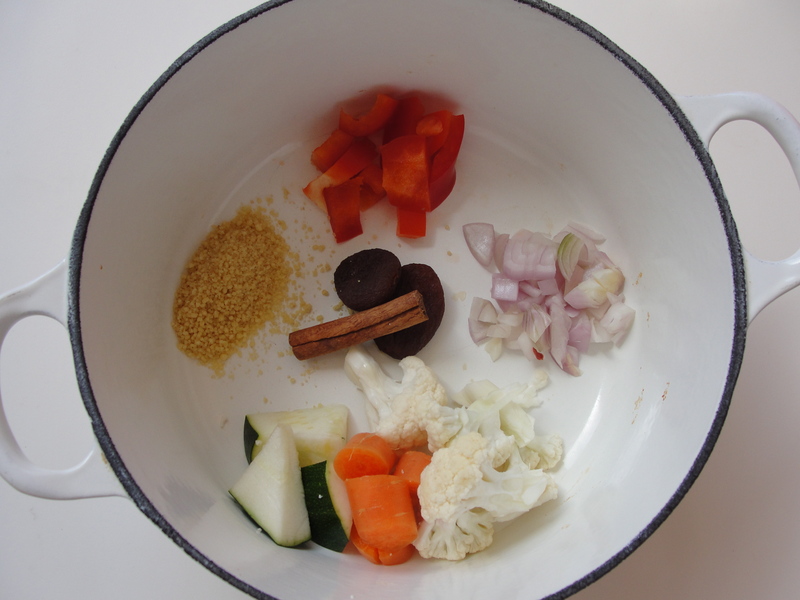 Tagines, dried fruit, and slowly simmered meat – we were set to tackle these traditional dishes in typical low sodium fashion. But this time around, we beefed up our team roster and invited the lovely (and talented) ladies from Farm and a Frying Pan to join along. In my opinion, there are never too many cooks in the kitchen. As long as they know what they’re doing. Each of us came to the table with our own set of rules: for me, the food had to be low in sodium (or no salt added to be more specific); for Jillian and Christina, of Farm and a Frying pan, the food had to be organic and local; and for Pao, well, it had to be adventurous and full of flavor. With guidelines dually noted, we set our sights on the following dishes: homemade pita bread and hummus, Moroccan Lamb stew, cucumber and yogurt salad, vegetable couscous, chicken Tagine, and homemade mint tea. If you’re full from just reading that, imagine how we felt after consuming heaping plates of each item. Although I didn’t think we’d make a dent, let’s just say less than 36 hours later, I’ve already polished off the leftovers. Awesome. 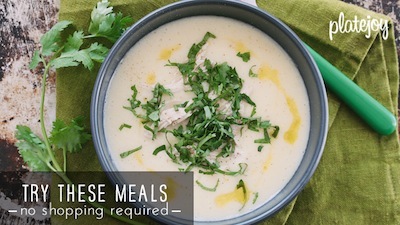 And because it’s just not ladylike to give the milk for free before you buy the cow (or at least that’s how the saying goes), today is purely a tease for the Moroccan, drool-worthy recipes to come next week. Try not to be consumed by the suspense this weekend. Have a great one. Send questions. Be good. And remember to chow on. I am off to Morocco in 20 days. I hope I have food as good as this!!! 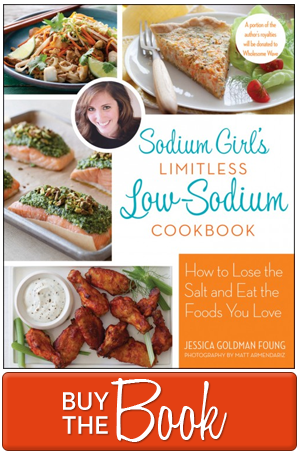 Love Sodium Girl Blog and all the recipes and hints.